How Often Should I Have My Gutters Cleaned? | All-Clean! Have you ever experienced dampness and mold in your walls? Chances are your gutters either need cleaning or changing. To prevent rot, dampness, and many other issues your gutters have to be periodically cleaned. The question is, how often should you clean your gutters? The frequency of rain in your area. If you live in a dry, airy area, it may only rain a few months out of the year. So that doesn’t mean that you need to clean your gutters out four times a year. Whereas in the Pacific Northwest, we have a lot of rain and so you would want to clean out your gutters more frequently. Rainwater is spilling out over the gutter line. 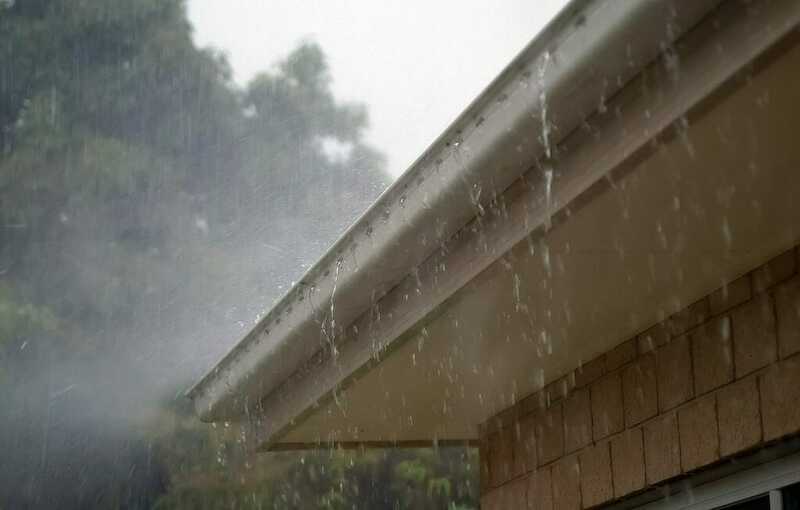 That is an indicator that you have a clogged gutter system, and water is pooling up and spilling over the gutter, and that presents a potential risk to your roof as well as to your home. The proximity of trees to your home or structure. If you have a lot of overhanging trees, such as deciduous trees or a lot of pine needles dropping onto the roof and blowing into the gutter and clogging it up. So consider how close as well as how many trees there are as a factor. At a minimum, you want to clean out your gutter twice a year. Again that is going to vary depending upon your location and those other factors. For those in the Pacific Northwest, three to four times a year is ideal especially as you get ready for the wet weather in the fall and winter.